Many people have been incensed by the lack of a known grave for Pamela Colman Smith, artist of the Rider-Waite-Smith Tarot. 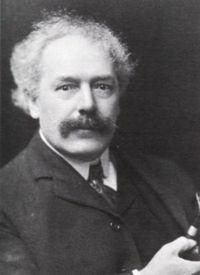 But how many people have made pilgrimage to the gravesite of Arthur Edward Waite? Please let us know if you have. It turns out that Waite lived in his later years and died not far from where Pixie Smith drew many of the cards for their mutual deck. For those who are interested go HERE for the location and some pictures of his grave. At least you can have a virtual look at the place where he was buried. Photo by Julia&Keld. The number three in numerology represents creativity, initial achievement of goals and growth. 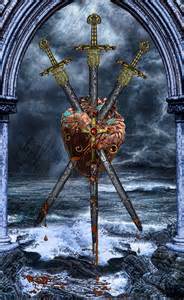 Some key words for the three of swords are heartbreak, rejection, delays, sorrow, unhappiness and grief. The three of swords is card that you really don’t want to see in a reading because it indicates heartbreak and sorrow. 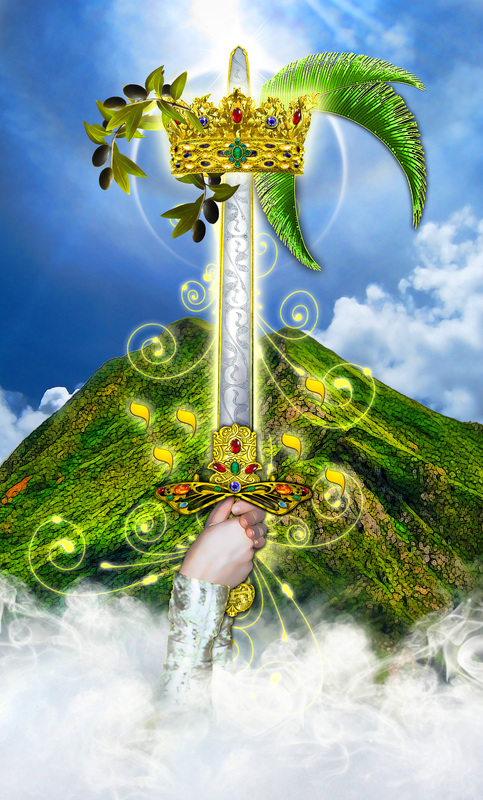 In a relationship reading, the three of sword might indicate a relationship break up that is felt not only physically but mentally at a very deep level. However, understanding what caused the pain, accepting it and working through the pain can help you recover. When the three of swords appears reversed in a reading, it indicates that although you have experienced some form of heartbreak, you are not at the point where you are starting to recover. Oddly enough, the three of swords can also indicate that you may not be doing the work that you need to for yourself and are at the risk of becoming stuck in your sorrow and pain. 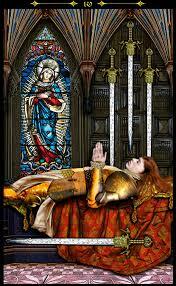 Want a more comprehensive interpretation of the 78 tarot cards which includes the three of swords. I highly recommend “The Ultimate Guide to Tarot Card Meanings”, by Brigit Esselmont. The number two in numerology represents balancing, duality, equalization, crossroad or choice and partnership. 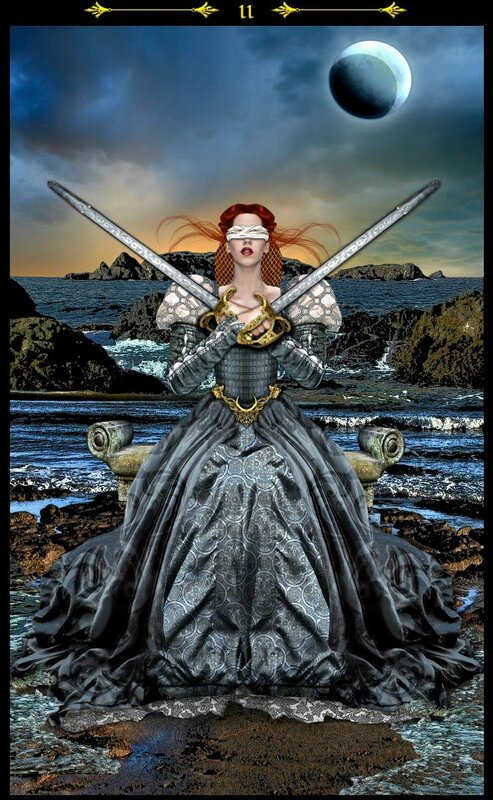 Some key words for the two of swords are indecision, stagnation, blocked emotions, choices and stalemate. The two of swords usually indicates in a reading that some type of difficult or painful decision needs to be made. Instead, the individual knowingly refuses to make a decision choosing instead to keep both aspects of the decision equally balanced until a decision is made. When the two of swords appears reversed in a reading, it indicates that the balance of not making the decision has been lost and as a result mental confusion can occur. The individual may find themselves caught between a rock and hard place and may choose not to make a decision, happily staying in a state of indecision. Stagnation! What are your thoughts on the two of swords? Want a more comprehensive interpretation of the 78 tarot cards which includes the two of swords. I highly recommend “The Ultimate Guide to Tarot Card Meanings”, by Brigit Esselmont.